The World Summit on the Information Society Forum 2015 represents the world’s largest annual gathering of the ‘ICT for development’ community. 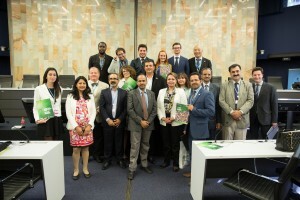 The WSIS Forum, co-organized by ITU, UNESCO, UNDP and UNCTAD, in close collaboration with all WSIS Action Line Facilitators/Co-Facilitators, has proven to be an efficient mechanism for coordination of multistakeholder implementation activities, information exchange, creation of knowledge, sharing of best practices and continues to provide assistance in developing multistakeholder and public/private partnerships to advance development goals. This forum will provide structured opportunities to network, learn and participate in multi-stakeholder discussions and consultations on WSIS implementation. 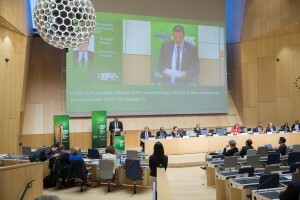 The Agenda and Programme of the WSIS Forum 2015 will be built on the basis of the official submissions received during the Open Consultation Process on the Thematic Aspects and Innovations on the Format. 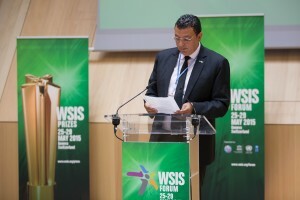 ASDF Africa Regional President Dr. Assem Abdel Hamid Mohammed Ahmed Moussa, shortly referred as Assem Moussa has addressed the UN Forum WSIS 2015 recently which was applauded by many experts who were present at the forum. He happened to meet with the ITU Secretary General and other members who were present in that forum.